Do I Need Insurance for My Restaurant? Restaurant owners are part of one of the fastest growing industries in the country. As so, it is more important than ever to have the right protection for your business. Restaurant insurance is a must for restaurant owners who want to safeguard their employees, property, and equipment. Restaurant insurance consists of a number of protections, ranging from general liability insurance and liquor liability insurance to workers compensation insurance and assault and battery insurance. Learn why having these insurance policies is essential for restaurants and how to get the best deals on insurance. Industries that serve alcohol and food are at a higher risk of legal trouble than other types of businesses, making insurance a must. Without the proper coverage, your business is at risk for lawsuits pertaining to property damage, personal injuries, and similar liabilities. When you speak with an insurance broker about restaurant insurance, he or she will create a customized insurance plan based on your unique risks and your desired amount of protection. What Does Restaurant Insurance Consist Of? There are a number of insurance options to choose from when shopping for restaurant insurance. General liability insurance is often required for restaurants and other businesses that serve the public. This type of insurance provides protection against claims of property damage or bodily injury that may occur at your establishment. General liability insurance may also cover third-party lawsuits that affect someone who is not an insured employee. Most policies cover a range of expenses relating to a claim, such as court costs, attorney fees, and court-ordered judgements. Liability insurance may also cover the cost to repair or replace damaged property. If your restaurant also serves alcohol, you will want to invest in liquor liability insurance. Liability claims that are made against a restaurant as a result of bodily injury or property damage caused by an intoxicated patron can be very costly. For example, your business could be responsible if two intoxicated guests get into a fight in your restaurant and serious injuries occur. You could also be responsible for damages if a drunk patron leaves your restaurant, attempts to drive home, and commits vehicle manslaughter. Liquor liability insurance can reduce your chances of suffering from financial ruin if your restaurant experiences any type of alcohol-related incidents. For many restaurants in the hospitality business, protection against assault and battery is always a good idea. Assault is defined as any type of verbal or physical threatening act that causes someone to fear for their safety or life. Battery is defined as the unlawful use of force on another person, such as physically striking an individual without their permission. When you operate a business such as a restaurant that requires multiple patrons to remain on the premises at once, you are at risk for assault and battery. Having the proper insurance coverage can help reduce any costs associated with verbal or physical attacks on your premises. If you have employees, you are legally obligated to take reasonable care to ensure that your workplace is a safe place. If an accident does occur on the premises, it can be highly beneficial to have workers compensation insurance for your business. Workers compensation insurance provides coverage for medical care for injured workers. In some cases, it may also cover a portion of the income loss while the injured employee is unable to work. Workers compensation insurance also provides employers with protection from lawsuits by employees who were injured while working in the restaurant. As a restaurant owner, you probably have a wide range of appliances and machinery in your establishment. From commercial refrigerator units to stoves and ovens, these items can be very costly and difficult to replace. 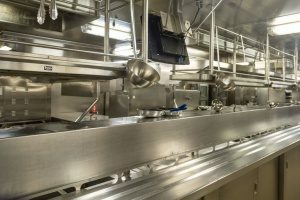 Equipment breakdown insurance is offered to restaurant owners who want ample coverage in the event of a mechanical or electrical breakdown of equipment. The coverage this type of insurance provides typically covers the cost to repair or replace the equipment. In some instances, it may also cover any loss business income that may build after the breakdown. 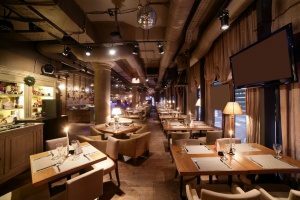 As a restaurant owner, you will also want to consider commercial property insurance. These plans can vary from policy to policy and may cover a range of losses, such as loss from fire, explosions, vehicle damage, theft, or acts of vandalism. Without commercial property, many businesses are unable to replace the cost of equipment after damage or theft. Depending on your unique policy, you may find that your building itself is covered, along with some equipment and machinery in it. The contents of your business may also be covered, such as office equipment, inventory, and other supplies. In some cases, other people’s property may be covered, such as a laptop computer left behind by a customer. Why Do Restaurants Need Insurance? As a restaurant owner, you may be wondering why you need certain types of insurance. While you never expect anything bad to happen in your restaurant, unexpected issues can arise at any time. Without the proper coverage, you may face high bills that can cause financial ruin that forces you to close down your business. Lawsuits can be long and stressful, causing both financial and personal problems. Insurance is designed to protect you from these types of unexpected events. Now that you understand the importance of restaurant insurance, you may be wondering where to get it. Talk to an experienced restaurant insurance broker about your unique business needs to develop a customized plan that works for your restaurant. Depending on the size and complexity of your business, you may not need all the insurances mentioned. An insurance broker can also help you shop different policies to find restaurant insurance plans that you can realistically afford. Remember, insurance brokers do not work for the insurance company, but on behalf of the customer. This means that you will receive an insurance package that will provide you with the right amount of coverage. Previous Post: « What Does Spoilage Insurance Cover?